VA Acting Assistant Secretary/CIO Rob Thomas tells the House Veterans Committee that he is confident that the VA will replace VistA with a commercial system. Thomas said the VA has remedied its previous lack of a coherent strategy, but Powner says a series of revolving door CIOs has caused too much strategic pondering without much to show for it. Lucro is a digital platform helping healthcare organizations make better purchasing decisions. Created with input from innovators at the nation’s leading health systems and a deep understanding of the healthcare buying cycle, Lucro exists to support providers by giving them the tools to evaluate and choose their best vendor partners. Accelerate your decisions with Lucro. Visit www.lucro.com. Hedgeye Risk Management is an independent investment research and online financial media company. Focused exclusively on generating and delivering thoughtful investment ideas in a proven buy-side process, the firm combines quantitative, bottom-up and macro analysis with an emphasis on timing. The Hedgeye team features some of the most highly-regarded research analysts on Wall Street, all with buy-side experience, covering Macro, Financials, Energy, Healthcare, Retail, Gaming, Lodging & Leisure (GLL), Restaurants, Industrials, Consumer Staples, Internet & Media, Housing, Materials, Technology, Demography and Washington policy analysis. For more information please visit www.hedgeye.com. Welcome to new HIStalk Gold Sponsor Casenet. 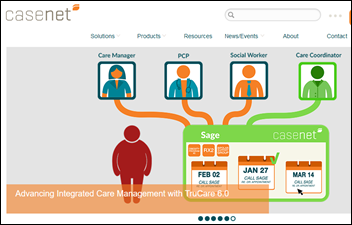 The Bedford, MA-based company offers the TruCare enterprise care management solution to improve care coordination, offering a single, member-centric, interoperable platform for utilization, case, disease, and population health management. Its customer base includes health plans, TPAs, and states that manage their own Medicaid programs. Benefits include improved outcomes, reduced cost, enhanced care management team productivity, and increased satisfaction. Thanks to Casenet for supporting HIStalk. Welcome to new HIStalk Platinum Sponsor Solutionreach. The Lehi, UT-based company offers patient relationship management tools. Solutions include SR Conversations (incoming text message management), Limelight Self-Scheduling, appointment reminders, appointment wait list management, a check-in tablet, a patient portal, patient payments, patient surveys, electronic newsletters and email marketing, patient reviews and referrals, online reviews with Healthgrades integration, video testimonials, integrated social media, patient geographic mapping, and a mobile app that allows patients to manage appointments, submit payments, and send secure messages. Sign up for a demo and get a $50 Amazon gift card and download the “No-Shows No More” white paper. Thanks to Solutionreach for supporting HIStalk. I found this just-published Solutionreach video describing how the company’s technology helps a dental clinic fill gaps in its schedule by text messaging patients. One final HIStalkapalooza reminder before we stop talking about it and actually do it: those who received an email invitation must click the enclosed link to complete their registration. 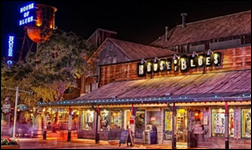 You otherwise won’t be on our check-in list, meaning you’ll be sulking around dejectedly at the neighboring Bongo’s Cuban Cafe while more attentive link-clickers are carousing without you inside the House of Blues. At least you’ll be warm even with our cold shoulder in that case – the extended weather forecast for Orlando looks like mid-70s for the high each day. Well, this is a confidence-inspiring vendor email. This week on HIStalk Practice: InnovaTel Telepsychiatry raises $2 million. Community Care of North Carolina launches digital doc-sharing program with pharmacists. Innovaccer, Modernizing Medicine add MIPS reporting tools. Illuma Care Connections launches with HIE-like capabilities for eye care providers. Fauquier Free Clinic adds telepsychiatry services. Mission Treatment and Recovery adopts Telehealthcare’s messaging tech. The Consultant’s Corner focuses on healthcare reform’s impact on revenue cycle integration. Cerner reports Q4 results: revenue up 7 percent, adjusted EPS $0.61 vs. $0.61, meeting analyst expectations for both. A federal judge blocks the proposed $48 billion merger of insurers Anthem and Cigna, citing anticompetitive concerns. Anthem, which will owe Cigna $1.8 billion if the deal falls through, says it will appeal. Phynd Technologies announces that it has received an unspecified new investment by the venture fund of UNC Rex Healthcare (NC). Doctor review site CareDash raises $2 million in venture debt financing and a line of credit. 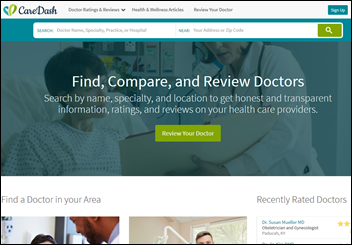 The company says it differs from other doctor review sites because it doesn’t accept money to remove negative reviews and it focuses on lower-income consumers. CareDash has raised $500,000 in equity funding and says it generated $6.7 million in revenue in 2016, although it doesn’t say how it makes money. I looked up a few doctors and the tiny number of reviews make the site’s usefulness questionable compared to Healthgrades or other doctor search sites. Nashville-based healthcare blockchain vendor consortium Hashed Health raises $2 million in an initial funding round led by Martin Ventures. 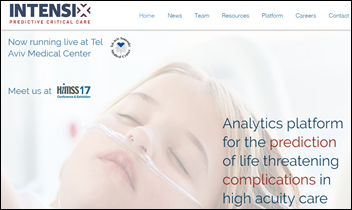 Israel-based Intensix, which offers a real-time predictive analytics solution that detects ICU patient deterioration, raises $8.3 million in a Series A funding round. China-focused search engine provider Baidu shuts down its mobile healthcare business to focus on AI-enabled healthcare research. The two-year-old unit focused on online hospital appointment scheduling and an ask-a-doctor service. Baidu’s AI arm will add a service where experts answer medical questions online as well as a diagnostic chatbot. The company says it wants to move upstream from low-tech healthcare offerings into AI-powered genomic and drug research. The Chinese government restricted the company’s healthcare advertising last year following the death of a student who sought questionable treatment based on Baidu’s paid search results of a company that was operating from inside a hospital, but only as a paying tenant. 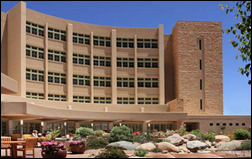 San Juan Medical Center (NM) chooses Cerner’s clinical, financial, and population health management systems. Welltok hires Rob Scavo (TriZetto) as president/COO. Alex Ginzburg (Intervention Insights) joins Casenet as CIO. Avaap hires Craig Joseph, MD (El Camino Hospital) as chief medical officer. 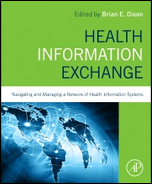 HIMSS announces its 2016 Book of the Year as “Health Information Exchange: Navigating and Managing a Network of Health Information Systems,” edited by Brian Dixon, PhD of Indiana University. 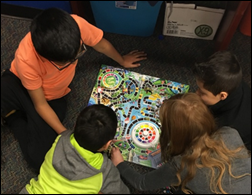 The Society for Participatory Medicine will create a research library at Weill Cornell Medicine (NY) to identify key literature references related to participatory health interventions, best practices for patient participation, and benefits. Netsmart will use the InterSystems data and analytics platform to expand the capabilities of its MyAvatar CareRecord behavioral and post-acute care EHR. The Department of Defense goes live at its first Cerner-powered MHS Genesis EHR site at Fairchild Air Force Base (WA), adding that it will provide more information about the implementation to the public next week. The National Hockey League, defending itself against a class action lawsuit related to player head injuries, demands research information from Boston University that includes the identities and medical records of deceased athletes who donated their brains for research. The university’s studies of the brains of 96 former National Football League players found that 92 showed signs of chronic traumatic encephalopathy, as did those of all five professional hockey players it has reviewed. 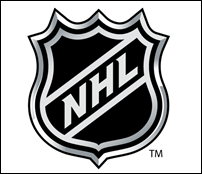 The NHL argues that the link is inconclusive even though the NFL has acknowledged the problem among football players. The owner of a Milwaukee,WI-based educational publishing company sues pharmacy benefits manager EnvisionRXOptions, saying he keeps getting patient faxes intended for the PBM even though their fax numbers are not at all similar. The publishing company owner says the PBM is negligent (but doesn’t explain how since they aren’t the ones sending the faxes) and argues that receiving PHI-containing faxes makes him liable for HIPAA violations (which clearly is not the case since he’s not a covered entity or business associate). The publisher seeks more than $500,000. He had previously offered to sell his fax number to the PBM, but no deal was reached. In England, a nurse whose mistake killed a heart bypass patient is spared jail time. She pulled the wrong blood type from a dispensing cabinet, checked it against the wrong computer records, then tried to blame a co-worker after the patient died. She claimed that the information of two patients with the same last name were not displayed correctly on the computer screen. An Austin, TX lawyer says that public records show that the University of Texas Dell Medical School gets 84 percent of its faculty compensation from taxpayer-funded Central Health, taking $105 million so far from funds that he says should instead be spent on providing services to low-income residents. 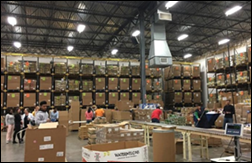 Sagacious Consultants employees pack 1,400 pounds of food to help prepare 20,000 meals at the Atlanta Community Food Bank. AdvancedMD opens registration for its Evo17 user conference that will be held in Nashville September 20-24. Sara Miller joins Audacious Inquiry as senior director. Optimum Healthcare IT hires Toni Tribble Jarrett as executive director for advisory services. MedData will exhibit at the American Physical Therapy Association Combined Sections Meeting February 15-18 in San Antonio. Navicure will exhibit at the 2017 Healthpac Annual Users Meeting February 10-12 in Savannah, GA.
Experian Health will exhibit at HFMA North Dakota February 16-17 in Minot, ND. PeriGen will exhibit at the AWHONN California Section Conference February 17-18 in Berkeley. Think Bigger Business Magazine names Sphere3 a 2017 “25 Under 25 Award” winner. Re: VA replacing Vista, that’s absurd because it is the only system physicians and nurses like. There may be some flaws, but to replace with Cerner is not the right course. Cerner implementation here has actually caused physicians and staff to tell patients not to go to hospital as system has made it un-safe. Those are powerful words. The VA doesnt need anything else making it worse. It seems we’ve found the opposite side of the coin to the WSJ article about Epic a little bit ago. So if one Cerner hospital is deemed safe by a provider, does that nullify your anecdote?